“Women for Israel” movement called for a march in the old city of Jerusalem, to commemorate the anniversary of the destruction of the Alleged Temple. Among the participants in this activity were Knesset members and Israeli senior leaders; including Danny Danon Deputy Minister of Defense and Rabbi Eli Ben Dahan Deputy Minister of Religious Affairs in Israel. The former MK Erih Eldad and the Jewish extremist Erih Kinij have also participated in this activity, in addition to a large number of settlers, especially from the settlement of Kiryat Arba. It pointed out, in a press release on Monday, that these activities include a short video tape about Jewish children trying to build the alleged temple using construction toys. The video shows the children as "the generation that will build the temple." The Foundation added that some other Jewish groups have created an application for smart phones talking about the destruction of the Temple with graphics and documents. It pointed to the seriousness of such moves, stressing that the Al-Aqsa Mosque with all its parts belongs to Muslims alone. Al-Aqsa Foundation warned that the mosque has entered the phase of "extreme danger," especially after the escalation of raids by settlers, intelligence agents and religious and political figures, and called on the Palestinians in Jerusalem and the 1948 territories to flock to Al-Aqsa to protect it from the Israeli occupation. Al-Aqsa Mosque has been recently witnessing a wave of attacks and violations by Jewish groups, with the anniversary of the destruction of the temple which falls on Tuesday. On August 28, two last flights will land in Israel, bringing 400 Falashmura new immigrants to the holy land. After this, the Jewish Agency will be closing down its camp in Gondar and the interior minister will hold an emergency hearing for all those who received negative answers. Since 2010, 6,300 Falashmura Jews have been accepted for aliyah, thousands more were refused and at the end of August, for the last time, 400 will make aliyah, on two incoming flights. On Monday, as operation ‘The Wing of the Dove’ neared its end, the Knesset’s Immigration Absorption Committee, headed by MK Yoel Razvozov (Yesh Atid), held an urgent hearing on the status of those refused aliyah. With the operation’s end after nearly 20 years, the community center in Gondar, run by the Jewish Agency, will close its doors. After this, immigration to Israel will be possible only through private requests, which will be examined by a committee overseen by Interior Minister Gideon Sa'ar. "The man told me 'you are not passing through here' and spat in my face. I still feel the humiliation," said Daniela, a 22-year-old Jerusalem resident who claimed she was attacked Saturday night by two young ultra-Orthodox men in the capital's Shabbat Square, located near the haredi Mea Shearim and Geula neighborhoods. Daniela said she was attacked because she was wearing jeans and a short-sleeved shirt, an outfit the assailants deemed "immodest." According to her, the attack occurred at approximately 8:30 pm as she was making her way home. The men called her a "shiksa" and blocked her path. "He spat on me twice. I tried to scare him off with a bottle of water I was holding, but he wouldn't budge," Daniela recounted on Monday. "Then someone else threw two garbage bags at me. After the incident, they continued in the direction of Mea Shearim. It was disgusting. I felt inhuman. I've been called names before, but it never reached this level of violence." Daniela called the police but decided to leave the scene a few minutes later for fear she would be attacked again. She filed a police complaint later that evening. "I'm still in shock," she said. "I've been taking the same route home for years. I've been threatened and insulted in the past, but this time they crossed the lines." A 20-year-old was brought to a local clinic in the Arab village of Kafr Manda after suffering multiple stab wounds. He was brought to the clinic by a passerby who noticed him lying wounded on the side of the street. He was unconscious and taken to Rambam Medical Center in Haifa in serious condition. An unknown group has distributed leaflets in a haredi neighborhood in Jerusalem calling for the murder of haredi soldiers. In the leaflets, which might be fake, the public was called to "partake in the mitzvah and commit 'hara-kiri' on haredi soldiers." Police rescued haredi soldier who was surrounded by a large group of haredim in the Jerusalem ultra-Orthodox neighborhood of Mea Shearim. Dozens of Eritrean asylum seekers and infiltrators were flown out of Israel since last week through a "willful emigration" procedure, which was approved by the Attorney General. The procedure is meant to find out whether someone held in custody is interested in returning to his country of origin The procedure was fiercely criticized by the United Nations High Commissioner for Refugees (UNHCR) that claimed that "free will" cannot be applied to imprisoned asylum seekers." Israeli Ambassador to the US Michael Oren was called back to Israel to take part in an emergency meeting convened this weekend by Prime Minister Benjamin Netanyahu so that Oren could pass on messages sent by the US administration and Congress in the wake of tensions between the two countries. The tensions and lightening visit stem from the US's outrage at Israel's decision to back out of their commitment to a terror prosecution involving a Chinese bank allegedly laundering monies for Hamas so that Netanyahu and his family could embark on their State visit to the country last May. This weekend Nahum Barnea and Shimon Shiffer from Yedioth Ahronoth broke the story and revealed that the Chinese government threatened to cancel Netanyahu's visit if Israel refused to promise that senior Israeli defense officials would refrain from testifying against the Bank of China in a federal court trial currently underway in New York. 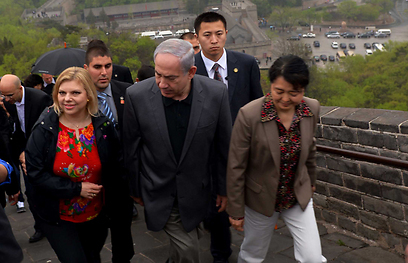 According to the report, China conditioned Netanyahu's visit on the demand the officials retract their promise to testify in the trial being led by the family of terror victim. According to the suit, the money used by Hamas to undertake the terror attack reached the terrorist group through a money laundering scheme run the Chinese bank in which some $6 million were laundered through trade. The story has invoked the rage of the White House, a number of US congressmen and Jewish organizations active in the US who were flabbergasted by the decision to back out of a legal battle against the funding of international terror only in an attempt to prevent harm from coming to Netanyahu's visit. On Sunday, during the meeting called by Netanyahu, Oren was meant to stress to the additional participants – among them ambassador designate Ron Dermer – that the Americans view with severity Israel's decision to cave into China's pressure and prevent testimonies which would legally link Hamas and the Islamic Jihad to the Bank of China. Oren was also to convey the American shock that Netanyahu, who the Americans call "Mr. Terror" for his zero tolerance approach to terror, would take such decision. Congress, Oren was indented to say, sees the move as nothing short of betrayal by Israel of the US, both in regards to the international war on terror and in regards to the struggle for hegemonic control raging between the West and the rising eastern powerhouse. The crux of Oren's mission was to inform the Israel administration of the US's intent on advancing legal procedures against the Bank of China; to inform them that if the security officials fail to show up in court they would be subpoenaed; and additional subpoenas would also be filed against Oren, Dermer and National Security Adviser Yaakov Amidror. In addition to the suit filed by the Wultz family, the Bank of China also faces a lawsuit by Attorney Nitsana Darshan-Leitner of the Shurat HaDin Israel Law Center, representing 22 Israel families – the relatives of the victims of the suicide bombing in an Eilat bakery as well the Mercaz Harav shooting - that is being discussed instate courts throughout the US. According to Darshan-Leitner, these cases are also structured around the testimonies of security officials and could fail should the officials fail to testify. The Prime Minister's Office did not respond to the story Sunday evening. 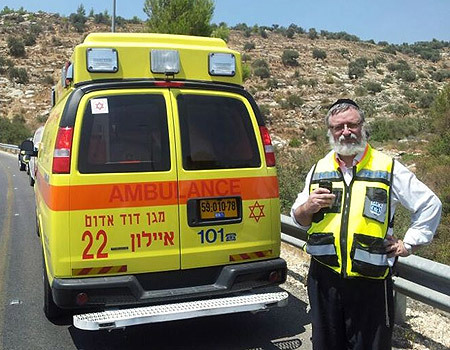 Magen David Adom paramedics are working to resuscitate a one and a half old baby that was left in a car in the town of Dolev in the West Bank, the second such case in just two days. The baby is in critical condition after she was left in a car for several hours. She was rushed to the Tel Hashomer hospital via ambulance. The baby was discovered unconscious at around 1:15 pm by a passerby. A preliminary investigation suggests her father had forgotten her in the vehilce. Sunday saw a similar case end in tragedy when a five-month-old baby who was left in a car in the settlement of Shilo for seven hours died. Apparently, the baby's father had been driving her and her sister after a night shift, and was meant to drop off each at a different location. He forgot to drop the baby off, leaving her in the car and going into the family's house, where he went to sleep. It is only when his wife called him and asked about the baby that he realized what had happened. When the family called Magen David Adom, paramedics instructed them how to perform CPR on the baby until teams arrive at the house. Upon arrival, MDA paramedics continued CPR, but were eventually forced to pronounce her death. Earlier this month, a nine-month-old baby was found unconscious in a car in Ramat Gan, after she was left in the car for several hours. Magen David Adom paramedics attempted to perform CPR on the baby en route to hospital, but she was pronounced dead at the Chaim Sheba Medical Center at Tel Hashomer. The appointment of Jacob Frenkel as Israel's next central bank governor has come under a cloud over his failure to disclose a past allegation of shoplifting, local media said Sunday. The Haaretz newspaper said that a committee on senior civil service appointments has asked the JP Morgan Chase International chairman to explain why he failed to inform it of a 2006 incident in a duty-free shop at Hong Kong international airport. "As he was leaving the store, a bottle of cologne that appeared not to have been paid for was found among Frenkel's belongings," the paper reported. "A security guard then apprehended Frenkel and prevented him from boarding his flight, with the event captured on security cameras," it said. It added that Frenkel was confined to an airport hotel for 24 hours before being allowed to travel. "Local authorities in Hong Kong reached the conclusion that this was an unfortunate misunderstanding, and expressed their apology and their appreciation that I did not sue them for compensation," he said in a statement published in newspapers on Sunday. "I expect to take office as governor of the Bank of Israel in early October," he added. Israeli public radio said that the appointments committee convened to discuss his case on Sunday but was likely to hold several more sessions before reaching any conclusions. The body itself issued a terse statement which gave no details, not even confirming that it was meeting on Sunday. "The committee for senior appointments headed by (retired) justice Jacob Turkel which is examining the appointment of Professor Jacob Frenkel to the post of governor of the Bank of Israel will convene in the coming days to continue its discussions," it said. Frenkel, 70, was named last month to replace former World Bank chief economist Stanley Fischer, 69, who is stepping down from the central bank governorship after eight years on the job. The nomination still needs cabinet approval. 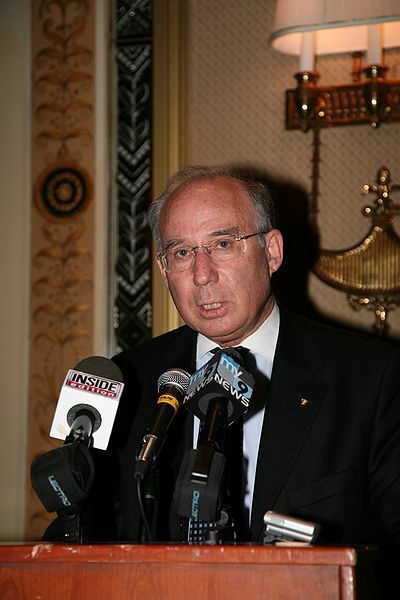 Frenkel previously held the post from 1991 to 2000. An analyst says the economic condition in Israel is deteriorating as Tel Aviv is facing stagflation with almost a quarter of the population in poverty, Press TV reports. In an interview with Press TV on Sunday, Kamel Wazne said a decline in Israel’s economic growth, rising unemployment and high prices do not bode well for the Israeli economy. “We have to remember also the people who live below the poverty line in Israel is (are) actually exceeding 23 percent of the population. So almost one quarter of the Israeli population live in poverty,” Wazne added. welfare which, combined with the decline in Tel Aviv’s exports and foreign investment, would result in growing protests and demonstrations. 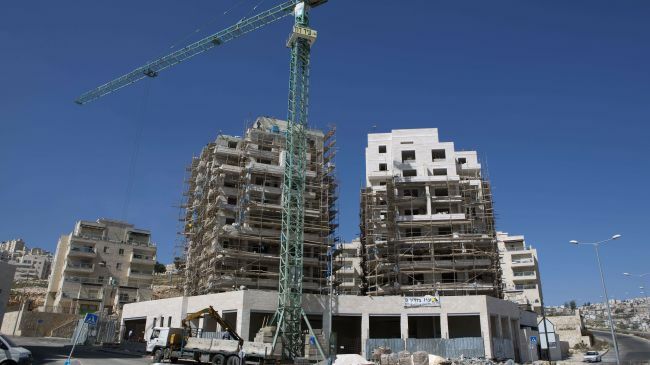 “Overall, the picture doesn’t look good for the Israeli economy nor for the average Israeli and that is reflected on the street in Tel Aviv and I think a lot of people are going to demonstrate against any increase in taxes and this probably could be the beginning of a stage known in economics as stagflation - a mix of beginning recession and high prices,” Wazne said. Thousands of Israelis took to the streets in Tel Aviv on Saturday to protest the economic policies of Benjamin Netanyahu’s administration and mark the two-year anniversary of 2011 social protests in Israel. The organizers of the demonstration said the protest also marked the anniversary of Moshe Silman’s self-immolation. In July 2012, 57-year-old Silman poured gasoline over his body and set himself alight during a demonstration held to mark the first anniversary of the social-justice protests that swept Israel in 2011. He died of his injuries on July 20. Speaking to the protesters, Leef called Saturday night's protest "an opening for a new season of protest,” adding, "Response to thieves should be revolution - bread and medicine are not the objective." Israeli media reports say Tel Aviv has shot down one of its drones over the Egyptian border due to a technical failure. 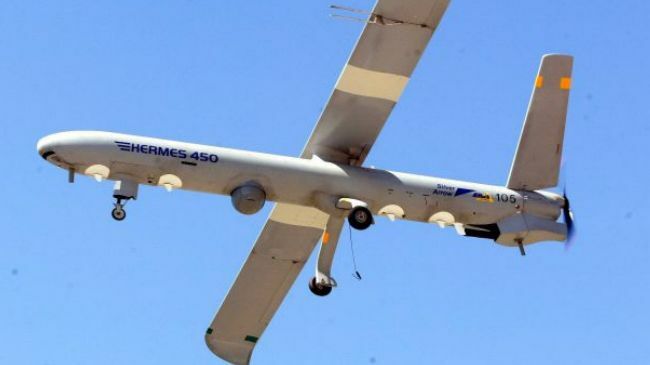 Hermes 450 drone, which is one of Israel’s primary means of espionage and collection of aerial images, was shot down over the border area on Sunday night due to engine malfunction, according to the Israeli newspaper Haaretz. The report added that the flight operators noticed the breakdown and decided to perform a controlled crash on the Israeli side of the border. The daily also said Israeli security forces combed the region and collected the remains of the aircraft. The Israeli military is reportedly investigating the cause of the malfunction, which most likely originated from its engine. A similar incident occurred in May, when the Israeli regime shot down one of its own Heron-class drones, known as “Shovel” over the Mediterranean Sea following an engine malfunction. On July 7, an Israeli F-16 warplane crashed into the Mediterranean Sea following an engine malfunction. The US-made F-16, which is Israel’s latest and most advanced warplane, crashed west of the Gaza Strip during a training flight. According to an Israeli military spokesman, the plane’s two crew members, the pilot and the navigator, parachuted into the sea and were rescued. Following the incident, Israeli military grounded all its F-15 and F-16 warplanes. In October 2012, the Israeli military grounded its entire fleet of aircraft for a day in the wake of a number of near-miss incidents during training flights. In January 2012, a different type of a Heron-class drone, known as “Eitan,” also crashed in southern Israel while on a test flight. A five-month old baby died after being forgotten in a car in the Israeli settlement of Shiloh for seven hours. Magen David Adom emergency services called to the scene could not resuscitate the baby. Two Israeli soldiers were attacked with clubs in northern Israel on Sunday, Israeli news site Ynet reported. 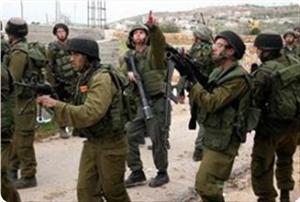 Both soldiers suffered head injuries and were taken to Rambam Medical Center in Haifa. The circumstances behind the event are unclear, although the Hebrew website of Israel's police site said the perpetrators were thought to be Palestinian. The testimony of the two soldiers who were attacked with clubs near Yokneam revealed that the two were back from vacation and on their way to a military prison, when a white vehicle stopped next to them. According to the soldiers, the people in the car demanded they get in the car, as a result of which a brawl ensued, causing their injuries. The soldiers, from Isfiya and Daliyat al-Karmel, were lightly to moderately injured and evacuated to the Rambam Medical Center in Haifa. Two soldiers were attacked with clubs in the vicinity of Yokneam in northern Israel. Magen David Adom emergency services evacuated the soldiers, suffering head injuries, to Rambam Medical Center in Haifa. One of the soldiers was moderately injured and the other was lightly injured. The circumstances behind the event are still unclear. Protesters blocked southbound traffic on Tel Aviv’s main thoroughfare, the Ayalon freeway, during demonstrations for social justice on July 13, 2013. 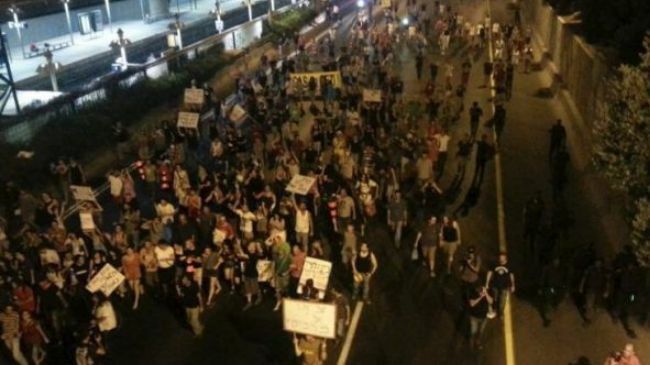 Thousands of Israelis have taken to the streets to protest against Tel Aviv’s austerity measures and to demand social justice. 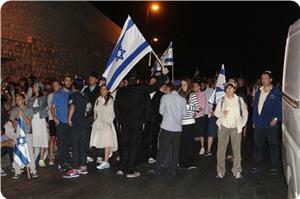 The demonstrators, who were angry with the high cost of living, blocked Ayalon Freeway in Tel Aviv late on Saturday. They chanted slogans against Israel’s Prime Minister Benjamin Netanyahu and Finance Minister Yair Lapid. The protest rally marked the second anniversary of the large social protests that hit Israel. Thousands of people gathered in Kaplan Street where one year ago Moshe Silman set himself on fire in protest over the high cost of living. In July 2012, 57-year-old Silman poured gasoline over his body and set fire to himself during a demonstration held to mark the first anniversary of the social-justice protests that swept Israel in 2011. He died of his injuries a few days later. The organizers of the Saturday protest hope that the rally will gain momentum in the coming weeks. “We do not have another two years to wait. We are dealing with an aggressive policy that leads to poverty on the one hand and brain drain on the other. This is a good enough reason to resume our protest,” said Israeli social activist Daphni Leef. She said Netanyahu was an opportunist and that the Israelis had lost trust in their leaders. The 2013 budget of the Tel Aviv regime has also hit Israelis deep in their pockets with raised taxes and slashed benefits. Discontented Israelis almost regularly take to the streets in Tel Aviv and other cities to protest against the regime’s economic plans and the painful austerity measures, which would raise income and value-added taxes and cut welfare benefits. 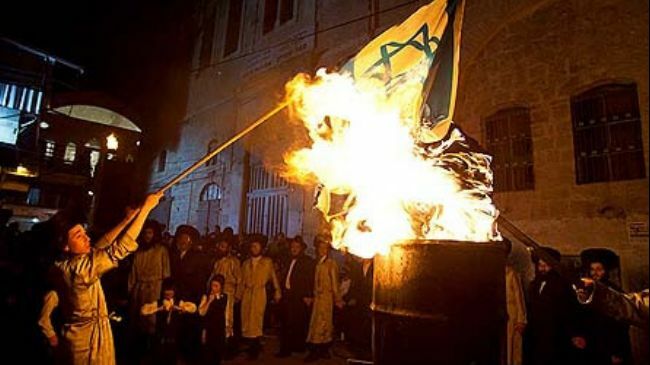 The mayor of the Israeli city of Bnei Brak is reportedly seeking to erase the Zionist identity of the city, which has an ultra-Orthodox Jewish majority. The office of Mayor Avraham Rubinstein, a rabbi himself, recently announced that a decision has been made to remove the names of Zionist figures from streets and rename them after famous rabbis. According to a statement issued by the mayor’s office, the changes will be open to objections from Bnei Brak residents. In line with the decision, Kibbutz Galuyot Street will be renamed after the late Rabbi Shlomo Berman, who headed the Ponevezh Yeshiva religious school in Bnei Brak. In addition, Jerusalem Street will be renamed Rabbi Yitzchak Shlomo Ungar Street. Rubinstein has already changed the names of streets that had been named after Theodor Herzl, who is known as the father of Zionism, and Moshe Sharett, the second prime minister of Israel, and renamed them after Jewish rabbis. Bnei Brak has a population of over 178,000 and the largest population density of any city in Israel. The majority of the residents are Haredi Jews, most of whom oppose Zionism because of its secular orientation. They also believe it is forbidden for the Jews to rule in Palestine before the arrival of the messiah. NSA spying never catches Israelis - Why not? Intelligence analysis ALWAYS follows a dual track of analyzing what you can see...and what you can't. The massive coverage on the recent Snowden revelations has basically all been theater as most had already been revealed and/or was known about by every Intel agency on the planet. Two old platitudes come to mind...'Crying Crocodile Tears', and Shakespeare's “Me thinks she doth protest too much”. When you cut through all the smoke and mirrors, the essence is very simple. Snowden, like Assange...despite the huge amount of classified material with all the embarrassing things that involved so many countries, neither of them seemed to know anything about the massive Israeli espionage that is carried out all over the world. For example, the field reports from Afghanistan and Iraq involved Israelis being picked up as contractors doing very nasty things, and yes, doing them even to American troops. None of that stuff made its way into the leakers shocking release pile. We have people who wrote some of those reports, and they were major headlines. My verdict? No leaker who has had access to the mother-load of dirty Intel laundry on numerous selected countries, and who never releases any on Israel, is for real. They are an operator. Why? Because busting open the Israeli espionage cover-up is the story of a lifetime. On one side you have a loyal faction of modern Intel professionals trying to monitor and block Israeli penetrations. And then there is the rogue bunch assisting the bad guys for all the rewards offered, not so much by the Israelis themselves but their substantial political helpers. This battle has been going on for a long time and there is a huge amount of material available even in the declassified files. If you want to find out more, all you have to do is scratch the dirt. It is the espionage scandal of our time and these phony leakers have contributed nothing. Veterans Today burned Assange in the fall of 2011, with Ziggy Brzezinski helping through his big PBS interview where he spilled the beans about the Assange information being released having been 'seeded.' He gave our initial claims a lot more exposure. So that really leaves only one plausible explanation for 'missing' the Israeli espionage angle. Remember I said it would be impossible for a really connected leaker not to know about it. And if Assange and Snowden were really these altruistic goody goodies who cry about the public's right to know how they are being abused by government spying on them, then why would they give the Zionists a free pass for doing it to all of us? 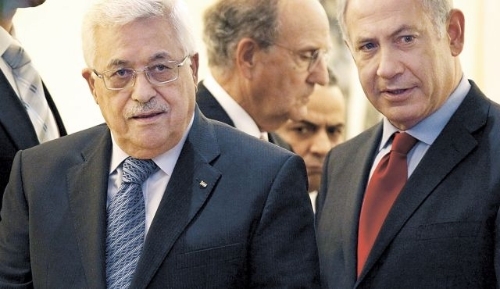 Press TV readers would know why...because these guys are on an Israeli string. This is simply Intel 101. When everybody is getting embarrassed by leaks except for that one special group, there is no suspect number two. 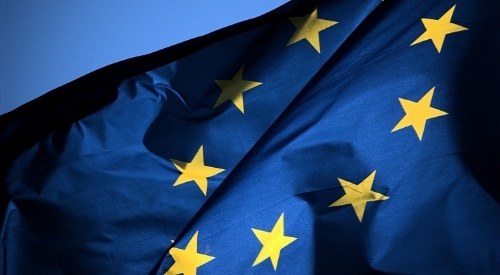 The Europeans are crying wolf as part of the charade, also. They all have been doing similar communications intercept spying on their own people...and more than a few of them in conjunction with the US under sharing arrangements. The beginning of this came from the alleged 911 hijackers. They had spent time in various European states and moved around different legal jurisdictions as the most normal tactic of that era for avoiding close monitoring by counter-intelligence services. Communications Intel people did not want to get caught being responsible for missing another major attack, so it was open city on collecting everything they could by whatever means available. The NSA name for it was Total Awareness. This sometimes would include having other jurisdictions do things that were illegal for you to do in your own country. For example, years ago Canada intercept sites could collect material on Americans, and we on them, and both could testify that they were not collecting communications domestically and be telling the truth technically. But they were never asked about whether there was a sharing arrangement with anyone. This is part of the theater of Congressional hearings...what does not get asked. The Israelis have a huge appetite for intercept information and they used their Jewish Lobby political muscle to get their contractors inside many of their friendly country counterintelligence operations, especially communications. In the US, Michael Chertoff literally hardwired them with full promotion and protection from Bush and Cheney. Remember this is the crowd, along with Rudy Giuliani, who were going to make Bernie Kerik Homeland Security Director after being a high school dropout and detective third class. He was nothing more than a sock puppet for his handlers who would have been running the show. What kind of leaders would use a tragedy like 911 to put a totally incompetent person in charge of the biggest conglomeration of Intel and law enforcement in history? Many were suspicious that they wanted to make sure that 911 would never be unraveled as to who was really behind it here in the US. Bernie would have been perfect for that. He has been out of jail a month now. So what we have had going on is a cruel betrayal, not only here in America but in many countries. The War on Terror has been used by elites as an excuse to get a vice grip control over their populations, profiling them on a scale formerly only dreamed about. Why would this be necessary? The only real answer is a looming fear of publics finding out what their governments had really done to them, the extent of the corruption and how thoroughly they had been pillaged. People learning that their countries had been stolen, that would make them dangerous. They would all turn against those responsible. The only defense for the elites then would be to quickly round up all those of a certain profile, those who had the leadership skills, the knowledge, and the network strength to fight back. The data mining ability available to governments now is absolutely incredible. They can find out just about anything about anybody...but not on the Israelis, of course. Think about it. With these new tools we should have been able to decimate Israel's espionage networks here...political, military, financial, media, academia and the think tanks. How many Israeli Intel networks have the Western countries broken up since 911? The answer is zero. The Zionists have compromised these Western nations in a variety of ways, with the primary tool being political espionage as that is the pathway you use to get your people deeply embedded in all the important spots. They spend ten, twenty years, even longer grooming their people to have them ready when the time is right to slip them into sensitive positions. Even our Justice Department has been compromised, as loyal people have gone everywhere to initiate prosecutions only to be told that it was just impossible for “protected entities”. 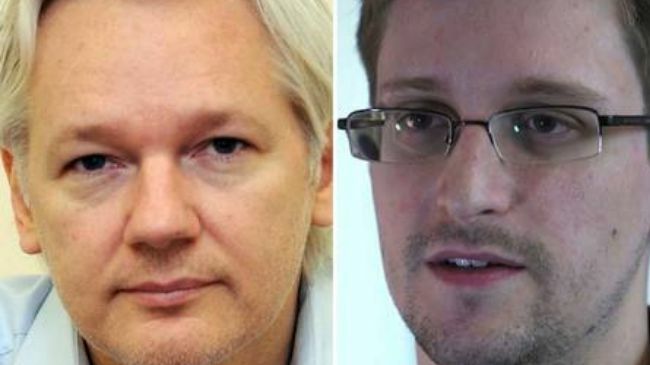 Assange, and now Snowden, are just side shows...burning up the public attention time clock that could have been much better spent going after the really dangerous threats. You cannot involve the Israelis in anything and have any security. The two are mutually exclusive. The professional Intel people all know this, but get overruled by the civilian leadership where that fix is in. To call these countries democracies is an embarrassment to the word. These are conquered countries where people were sold the story about the tooth fairy and who are now struggling to outgrow their childish beliefs as their make believe world comes down around their ears. All of these countries, their elite class, deem their own people to be their number one threat. And the Israeli Lobby operators are stuck to the elites like glue, promising to protect them when the dark times come...that they will be OK if they are with the right group. Dear readers, we are not on their 'right group' list. We are on the expendable, potential threat one. Even War on Terror veterans found themselves on it, yet many are still refusing to let go of their Teddy Bears and face up to what has to be done. You can shoot me as the bad news messenger if you want, but that won't save you. Saving ourselves is going to require some very clear thinking, determination, and building street armies like the Egyptians just did. When we can put 50 million people into the streets and bring the military over with us, it will be a new Independence day. And the first order of business would be to clean up 911, and not let those responsible walk among us. The importance of the CRC observations is multi-faceted. Not only do they expose Israel’s colonial tactics, racist policies and violation of human rights, but they also expose the ways in which Israel falsely claims an exceptional status in the Middle East. Israel claims to be exceptionally progressive, democratic and advanced in social, religious, political, and economic matters. The CRC observations, however, unmask these myths. Analysis of the concluding observations on the second to fourth periodic reports of Israel adopted by the Committee on the Rights of the Child at its sixty-third session (27 May – 14 June 2013). In its sixty-third session, held from May 27 to June 14 of this year, the United Nations Committee on the Rights of the Child (CRC) made its concluding observations on Israel’s second to fourth periodic reports. These observations deal a powerful blow to the myths propagated by Israel about its own political processes and prowess, myths that Israel uses to reinforce its self-proclaimed identity as “the only democracy in the Middle East,” an oasis of progress in a desert of brutality. The underlying message is that Israel’s exceptionalism is a falsehood; in short, it is a discriminatory nation, no more socially or politically advanced than the many countries (both within and beyond the Arab world) over which it claims superiority. The CRC’s many criticisms, distributed through the 79 points that constitute the concluding observations, can be sorted into four major categories: Israel is inherently a colonialist state; many of its policies are built on institutionalized racism; it is a flagrant violator of child rights; and it is, despite its insistence to the contrary, far from a democratic state. The CRC emphasizes Israel’s colonial agenda, condemning “the illegal long-lasting occupation of Palestinian territory and the Syrian Golan Heights, the continued expansion of unlawful settlements and construction of the Wall into the West Bank as well as land confiscation, destruction of houses and livelihood of Palestinians” as forces that “feed the cycle of humiliation and violence and jeopardize a peaceful and stable future for all children of the region” (section III, point 7). The CRC’s subsequent request is not simply for Israel to end the occupation – an appeal that has been made in many prior documents of this nature. 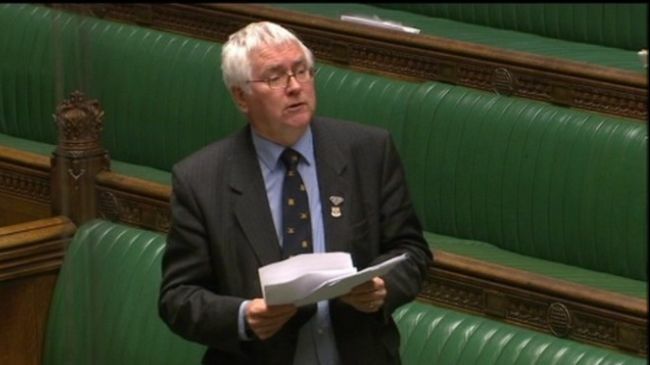 Rather, the CRC goes on to urge Israel to withdraw all illegally constructed settlements and cease the transfer of its population into the Occupied Syrian Golan Heights. It then proceeds to criticize Israel for declining to submit information regarding children living in the Occupied Palestinian Territory as per the CRC’s own observations and requests (section IV, point 8). The CRC’s emphasis on the illegality of the occupation, the ways in which it is imposed, and its consequences are a resounding condemnation of the colonial injustices to which Palestinians are subjected at the hands of the Israeli state. The CRC criticizes Israel for practicing racism against its own citizens. This racism is not simply an attitude; it is manifested through concrete and visible state policies. The observations express the CRC’s concern that “the average spending per child in the Arab localities is estimated to be more than a third lower than in Jewish localities;” further, Israel “fails to take into account the unequal level of resources provided to the two health systems to explain the persistent disparities in relation to health indicators between the Arab and Jewish children” (section IV, point 13). While racism practiced against Palestinian families is systematic and egregious, the CRC observations accurately point out that Palestinians are not the only target of such treatment. In urging Israel to ensure that budgetary allocations no longer discriminate against Palestinian citizens of Israel, it makes the same demand on behalf of “children of migrant workers and asylum seekers” (section IV, point 14, article c.), as well as condemning the adoption of numerous discriminatory laws over the reporting period, “which affect primarily Palestinian children in all aspects of their life but also Arab Israeli, Bedouins, and Ethiopian children as well as children of migrant workers and asylum seekers” (section IV, part C, point 21). The CRC continues to stress Israel’s widely practiced racism against Palestinians in the OPT, expressing deep concern over “the establishment of separate means of transport and road services as well as the implementation of two separate legal systems and institutions,” all of which amount to “de facto segregation” and “inequality between Israeli and Palestinian children in the enjoyment of their rights” (section IV, part C, point 21). Indeed, the overarching conclusion is that Israel imposes racist policies and practices against virtually all communities it views as “other.” These policies and practices are not only entrenched in the military occupation of the OPT, but also implemented against Palestinian citizens of Israel, Bedouins, and other communities. In short, racism runs throughout Israel’s legal and social infrastructure. All criticisms discussed thus far – all criticisms related to colonialism and racism – violate the rights of both adults and children. But the CRC also goes on to state that Israel has violated, in the broadest possible terms and without exception, the four main principles of the Convention on the Rights of the Child. These principles are the right to non-discrimination (section III, part C, point 21 and section III, part D, points 29, 30, 49, 61 (b. and c.)); the best interests of the child (section III, point 23); the right to life, survival and development (section III, point 25), and the right to participation (section III, point 27). This paints a dismal picture of Israel’s respect for child rights – a picture that refutes Israel’s own image as a bastion of progress and conscience. Israel must “[e]nsure transparent and participatory budgeting through public dialogue, especially with children and for proper accountability by local authorities” (section IV, point 14, article b.) – a factor necessary for democratic governance. The CRC is concerned that “non-governmental organizations are not systematically involved in planning policies and laws for children,” that “Palestinian non-governmental organizations and international human rights organizations working in the OPT are increasingly perceived as a threat to national security and are subject to, among others, harassment, arrest and denial of work permits,” and about “the denial of work permits to foreign nationals working for humanitarian organizations in the OPT and about the tightened control of foreign funding of non- governmental organizations when they cooperate with United Nations fact-finding missions” (section IV, point 17). These troubling restrictions are common in repressive regimes that exclude and even persecute civil society. Israel is urged to “ensure that religious laws be brought in line with the Convention and do not contain derogatory language against children born out of wedlock” (section IV, point 32). The CRC expresses concern about “reported short and long-term complications arising from some traditional male circumcision practices” (section IV, point 41). The observations condemn multiple situations related to the unjust distribution of natural resources, e.g. “[t]he critical water shortage faced by Palestinian children and their families and by Bedouin children in the Negev due to prohibitions of access to natural resources, restrictions on water utilization and destruction of water services including traditional cistern-based water infrastructure essential for maintaining the Bedouin people’s nomadic and agricultural way of life” and Israel’s “opposition to the creation of waste water treatment facilities in East Jerusalem and to providing access to safe drinking water to Bedouin families and their children living in so-called ‘unrecognized villages’ even in cases where the Supreme Court has ruled that villages should be connected” (section IV, point 59). The CRC recommends that Israel “[t]ake the necessary measures to effectively enforce the Compulsory Education Law and ensure that education remains free by discontinuing the practice of requesting that parents pay fees and other non-official contributions for the education of their children” (section IV, point 62). The observations criticize the “extensive militarization of the educational system” and the “removal of significant information on Palestinian history, heritage, flag and cities from school textbooks distributed in 2011 to all private and public schools in East Jerusalem” (section IV, point 65), clear tactics of repression. 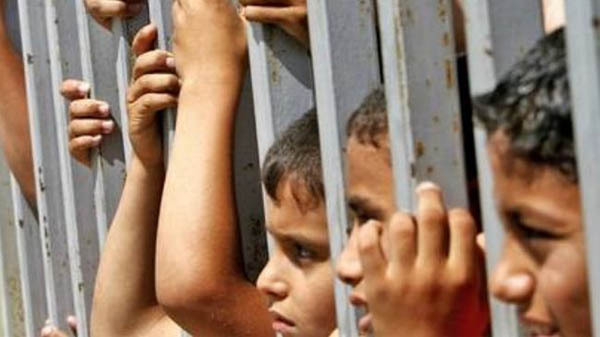 The CRC’s condemnation of “the Anti-Infiltration Law enacted in January 2012, which allows for the prolonged detention of children, including child victims of exploitation, torture and trafficking who migrate illegally to the State party” (section IV, point 69), points to a tyrannical type of state. The CRC makes it clear that Israel lags behind many other countries by not ratifying numerous important conventions – “namely the third optional protocol to the Convention on the Rights of the Child on a communication procedure, the Convention on Enforced Disappearances as well as the optional protocols of the Covenant on Civil and Political Rights, the Covenant on Economic, Social and Cultural Rights, the Convention on the Elimination of Discrimination against Women, the Convention against Torture and the Convention on the Rights of Persons with Disabilities” (section IV, point 75) – and urges it to do so. The importance of the CRC observations is multi-faceted. Not only do they expose Israel’s colonial tactics; racist policies; severe and numerous violations of human rights (including and especially children’s rights); and denial or restriction of transparency, civil liberties, equitably distributed resources, and so on – but they also expose the ways in which Israel falsely claims an exceptional status in this region of the world. It claims to be exceptionally progressive, exceptionally democratic, and exceptionally advanced in social, religious, political, and economic matters; “a villa in a jungle,” as former Prime Minister Ehud Barak once famously said. The CRC observations are yet another voice – as strong, loud and clear as any recently heard from a UN body – speaking up to unmask these myths. In this sense, the CRC observations are crucial for another reason as well: they show that, on the international stage, it is becoming increasingly unacceptable to participate in, justify, or ignore Israel’s myth-making. *Rifat Odeh Kassis is the General Commissioner of the Middle East and North Africa region at Defense for Children International, an independent worldwide child-rights organization, and General Director of its Palestine section. Follow them on Twitter and Facebook.